Kimball Junction has it all. Shopping, concerts, fun and recreation are closely packed together with residential neighborhoods on most sides. This all takes place in front of the vast and open backdrop of the the Swaner Nature Preserve, not to mention the Wasatch Mountains towering in the distance. For the residents and visitors to “The Junction”, all of these activities make for a lot of walkable/bikable (or even skiable) convenience. 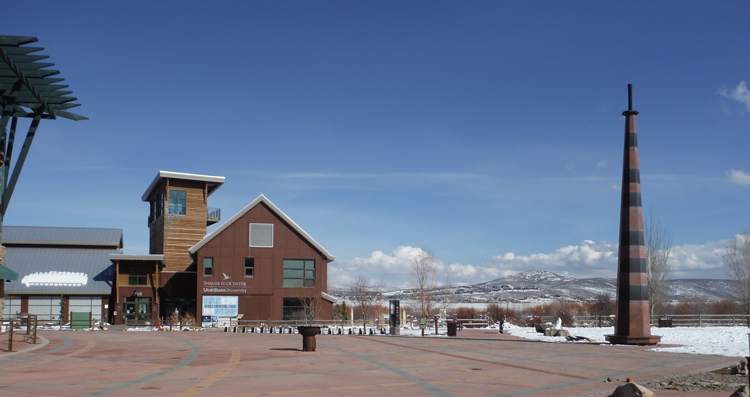 A new transit center connects you to the ski resorts and anywhere else in Park City. And a free shuttle transports shoppers from the “Smith’s” side of Highway 224 to the “Walmart” side. There is a pedestrian tunnel running under Highway 80 connecting this cute neighborhood to the shops at Kimball Junction. I love that the HOA takes care of the snow removal for the homes and the front lawns, keeping this neighborhood picture perfect. I guess other people agree with me because there is not a single home for sale right now at Blackhawk Station. The lowest sale in the past 6 months was for a 2 bedroom/3bath, 1,551 sf. home that sold for $575,000. The last row of homes backs to open space and these homes are considered quite valuable. Just past Blackhawk Station, you will find the white condominium project known as Canyon Creek. These are a perennial favorite of mine since I helped my sister buy one in 2004. Canyon Creek has a pool, hot tub and nice clubhouse & fitness center onsite. Some condos come with garages but all have reserved, covered parking. Animals are welcome and they even have their own dog park. There is on-site management, which is perfect for owner maintenance, FedEx deliveries or property management. This is a well-run and affordable place to own. Currently, there is one two-bedroom condominium on the market. It is 2 beds/2baths, 1,035 sf. Asking price is $329,000. The lowest priced one-bedroom to sell recently was $228,000. I still love Newpark Terrace. I wrote about it in my recent blog about my favorite condo complexes in town. These condos are located above the parking lot across from Best Buy in Newpark. But wait—before you judge, what you need to know is that their high perch affords these condos the best views in Kimball Junction. Some face the Swaner Nature Preserve and just over half face the ski resorts and Olympic Park. Each 2 bedroom condo features two master bedrooms (one on each level) with the living area on the upper level. There are two private decks with views, stainless appliances and all the finishes you would expect from a project completed just 3 years ago. Right now, there is one listed for $525,000. It is the standard 2 bedroom/2 bath, 1,228 sf floor plan. Newpark Townhomes have 95 units in buildings of 4, 6 or 8 units. Each unit is two bedrooms plus a loft and has an unobstructed view of the Swaner Nature Preserve. There are currently two available for sale, priced at $629,000 and $629,900. Each comes with an attached 1-car garage. The other larger development in the Newpark area is Fox Pointe at Redstone. Fox Point is made up of approximately 34 buildings with multiple units in each building. There are townhomes and stacked condos. There are currently a 2-bedroom condo, two-bedroom townhome and three bedroom townhome on the market. List prices range from $419,000-$625,000. True to its name, Spring Creek has a creek running along the back side of the neighborhood. 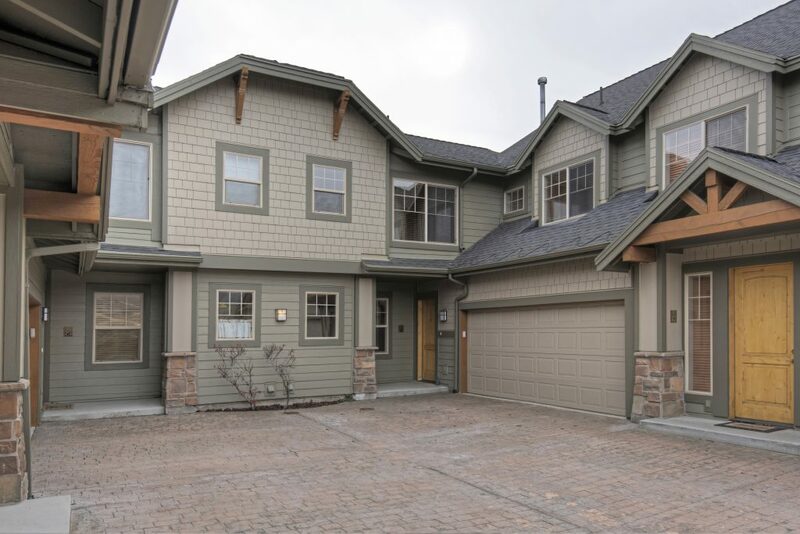 These single family homes are walking distance to the land bridge over I-80 connecting them directly to the new Whole Foods store and shopping area. Spring Creek is a sought after neighborhood for young families. The last sale there closed for $600,000 and there have been no homes on the market in the past 6 months. We wrote about Bear Hollow in a previous neighborhood spotlight. This is a mixed use residential area with single family homes, condominiums and businesses. It is a short walk, bike or bus ride to Kimball Junction. The Kimball Junction area is split between the Parley’s Park Elementary School and the Trailside Elementary School. However, all students in the Park City School District attend Ecker Hill Middle School, Treasure Mountain Junior High and Park City High School. Alternatively, there are a number of private schools close to the area. Kimball Junction has a number of services. There is a United States Postal Service office as well as a UPS store. There are quite a few hair salons and nail salons. There are also two medical clinics, The Redstone Health Center which is part of the University of Utah health system and STAT MD urgent care. Everything from banks and large retail chain shops to local consignment and pet stores can be found at Kimball Junction. Kimball Junction isn’t just a junction of residents and commerce, it is a junction of bike paths as well. The Millenium Trail is a paved path that runs along the West side of Highway 224. There is also a popular paved bike path that skirts the neighborhood and borders the The Swaner Nature Preserve. On these paths you can see elk, deer and the gangly Sandhill Crane. Some trails are groomed for classic and skate skiing in the winter. There is no shortage of fitness options in Kimball Junction. The larger facilities are the Basin Recreation Fieldhouse, Black Diamond Gymnastics, and the Silver Mountain Sports Club. For more boutique options there is Orange Theory Fitness, Salt Pilates, Pure Barre, Athletic Republic, the Mine Bouldering Gym and the Boom Room for cycling. If you are looking for a different sort of recovery head over to Stone Cold Cryotherapy, a visit into a super cold sauna. If all else fails, Massage Envy can work out your kinks. We’ve mentioned the Swaner Preserve, as its educational building is the Swaner Eco Center which is a must-see for visitors of all ages. It houses environmental exhibits as well as classes, kids camps and a great little gift shop. There is even a climbing wall inside! The Platinum LEED certified building is stunning and can be rented for events. 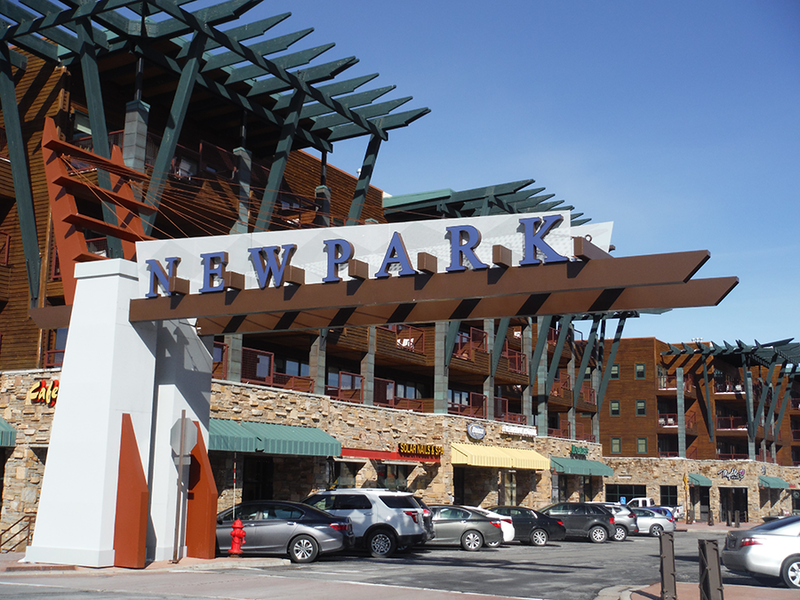 The Newpark Amphitheater can be considered the heart of Newpark Town Center. Every Thursday between Memorial Day and Labor Day you can find a free concert here. Shops and restaurants surround the amphitheater and concert goers can be seen enjoying a slice of Maxwell’s pizza or a homemade picnic. Kimball Junction doesn’t leave dogs out of the fun. The Run a Muck dog park is just North of Bear Hollow. It offers all of the fun features that dogs and their humans enjoy. Off leash, bridges, a small creek, tunnel and twisting trails make this a hit with anyone. There is something for everyone when it comes to good eats in Kimball Junction. Whether it’s sushi you crave, handmade pasta or a locally made ice cream cone, you can find it here. Red Rock Brewery is home to fantastic brew and cuisine. You can fresh sushi rolls at Sushi Blue and handmade pasta across the street at Gidottis. Maxwell’s East Coast Eatery is widely considered one of the best slices in town. And Vessel has become a quick local’s favorite for lunchtime fare. There’s Townsend Tea House for a quiet sip or a more busting Park City Coffee Roasters for a cup of coffee with friends or colleagues. For sweets, there’s I Love Moo and Cold Stone Creamery. J.W. Allen and Sons Toys and Candy also has sweet treats. Kneaders is a favorite stop for muffins or a loaf of bread to bring home. These are just a few of our favorites, there are many, many wonderful restaurants. There are two spots for evening fun that are perfect for a date or a family night out on the town. Jupiter Bowl has lanes for rent, pool tables and an arcade. The rumor is that they have the best burger in town. The other hot spot is the Metropolitan Redstone 8 Cinema. They’ve got an extensive line-up of movies day and night. Transportation options abound in Kimball Junction. There is the transit center where the popular electric buses head to ski resorts and town, for free. There are also e-bikes during the warm weather months. Lastly, there is the Kimball Junction Circulator. Simply wave down the driver and hop in. The van service, also free, circulates Kimball Junction and passengers simply hop on and off. You could spend days exploring the views and the shops of Kimball Junction. Like the rest of Park City, Kimball Junction properties have seen enormous appreciation in the past few years. Kimball Junction is a great place to own a second home or to live full time. It’s super walk-able and close to free, public transportation. There are many choices and price points. On your next free, sunny afternoon, hop on an E-Bike and find out for yourself what this area has to offer.